Swarovski Crystal Chrysolite Opal has a unique translucent pale seafoam green color with milky iridescence. This square cushion cut Swarovski crystal is set in gold 4 prong setting, simple, modern and beautiful. 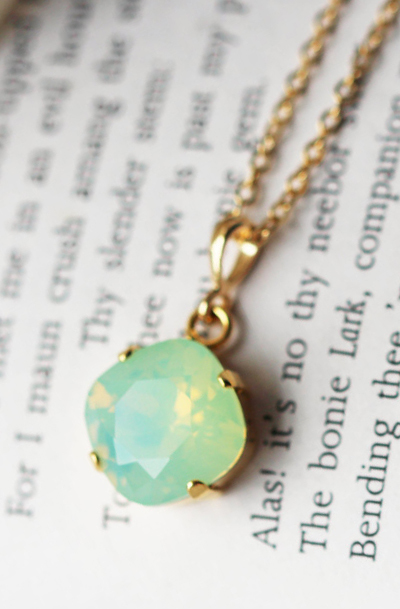 This lovely crystal pendant hangs on delicate gold chain. Swarovski Crystal Crysolite Opal Pendant is 12mm.